For readers who are less than familiar with the books properly known as Caesaris Comentarii de Bello Gallico (or more simply, Caesar’s Gallic Wars), written between about 58 and 44 BCE, please understand that almost all European schoolchildren of a certain generation used to know that the first of these eight books began, “Gallia est omnis divisa in tres partes” or “All of Gaul is divided into three parts”. Your sitemaster acknowledges that he happily falls into the third group. Indeed, most of the time he would happily never see his mobile phone again. Therefore, he is unable to tell readers whether or not a new “Cancergraph” app developed by our friends at Malecare is as useful as they promise it is or not. 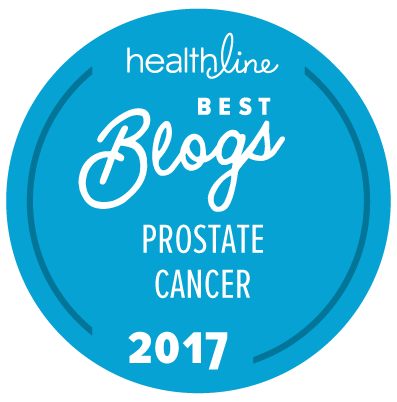 But since your sitemaster believes in informing readers about the activities of other prostate cancer education and advocacy groups, here’s the scoop. patients can choose from a list of over 200 symptoms and side effects, and have the option to include cancer types, medications and concerns. Cancergraph then distills the data into a report that patients can view on their phone or e-mail to doctors. Patients can also take disease- and symptom-related photos to be added to a secure photo storage area on their mobile device. Additionally, Cancergraph has a journal feature so patients can document their experiences in more detail. And then, best of all, you can download it to your mobile phone for free (always assuming you want to). But don’t blame your sitemaster if your mobile phone subsequently catches fire, smokes on an airplane, or starts talking to you about how to manage your cancer in the middle of the night! He hasn’t tested it personally and is highly unlikely to try. He has the computer skills of an aging rhinoceros and seems to manage quite well enough without most of the toys that many people now seem to find essential to their lives! Gallia est omnis divisa in partes tres……..
We all need a sense of humor on this journey as well as an occasional reality check. Loved your comments. My last Latin class was in 1955 but I do remember that phrase. Sorry to sound like a pedant, but as a one-time Latin scholar I can’t help but wince when I come across bad Latin grammar. “Three types” is “tria genera”, not “tres genera”. Pedantry is fine! … I have never pretended to be any sort of Latin “scholar”, and its been 55 years since I spent any significant time even trying to get by, so I am happy to return this to what I had originally written but misguidedly changed! Concerning “our” cancer, is the logo of this app “In hoc signo vinces“? Maybe you never watched the Ed Sullivan Show. … Señor Wences — it’s a stretch. “In hoc signo vinces” means “In this sign you will win” and is attributed to the Emperor Constantine. He had a vision of the Cross before a battle to gain Imperial power, against Constantius, in 312. He had the first two Greek letters of Yehoshua ben Josuf’s Christian name, Chi Ro, painted on his soldiers’ shields. It worked such wonders that he won the battle of the Milvian Bridge across the Tiber near Rome, without a GPS. The Ed Sullivan show had been over for a year by the time I first came to America in 1972 … let alone by the time I first worked here in 1976 or when I came back here permanently in 1985! Ed Berger probably won’t understand this either. … He’s another European and I don’t think he has ever lived in America. I knew exactly what you were referring to. I’m not so sure that the average American would have been so familiar with 4th Century European history — just as I (and you I am assuming) were unfamilar with Señor Wences! No, I never heard that pun, it is pretty good. I read about Constantin’s vision years ago, in Gibbon’s Decline and Fall of the Roman Empire. That book is readable and instructive, but today we have Tom Holland’s Rubicon and Mary Beard’s SPQR. Best of all though is Tacitus’s Annals of Imperial Rome. Back to Senor Wences, Sitemaster. … I knew him from the UK. He was a ventriloquist with a silly puppet formed by his own hand — amongst other characters. He was often a guest on various variety shows, including the Royal Command Performances.